So if you saw my first post then you knew to expect me to pick up the last 3 shades in the Maybelline Color Sensational Vivid line. I’m obsessed with “pop of color” lips (especially for spring & summer) so it isn’t a suprise I ended up buying all 10 shades to have the variety & pigmentation with the drugstore price tag! & without further babble…here are the last 3 shades! 885 Vibrant Mandarin: A medium orange with coral tones. 895 On Fire Red: Bright true red. This isn’t as pigmented so you might need a few swipes but it is a beauty. 905 Brazen Berry: A warmer lavender toned purple. Because I’m so fair this comes off very purple but I think on darker skintones this will look a bit more plum-y. So happy with this line & I think they definitely filled a need in the drugstore market well. I’m SO glad I went back especially for Brazen Berry since that is what I thought Hot Plum would be like! 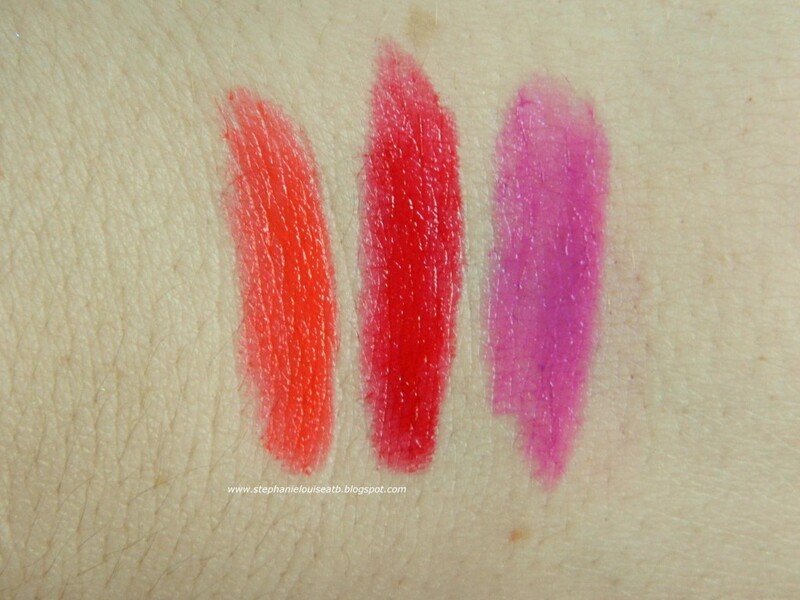 If you missed my first swatches, definitely check them out! 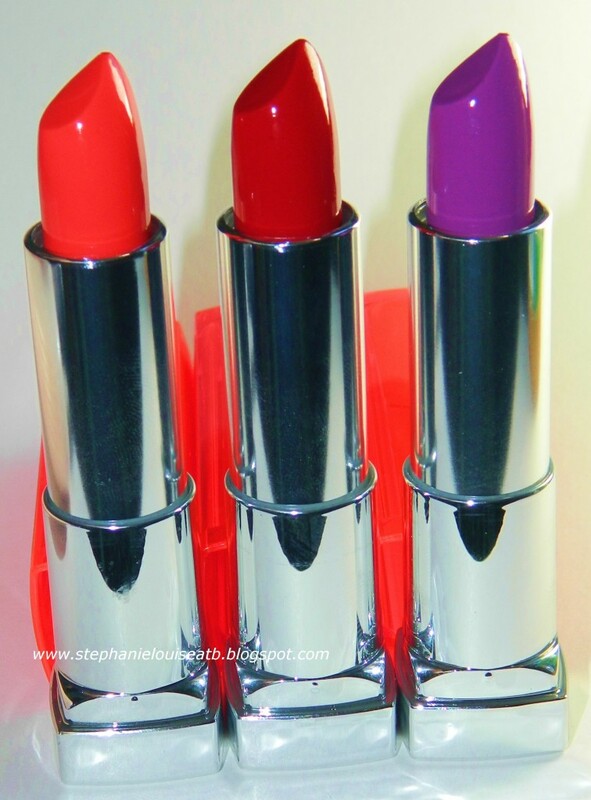 If you love bright lipstick shades there is likely a shade for you! Also refer to my original post for the overall review of the packaging, texture, etc. What do you think? 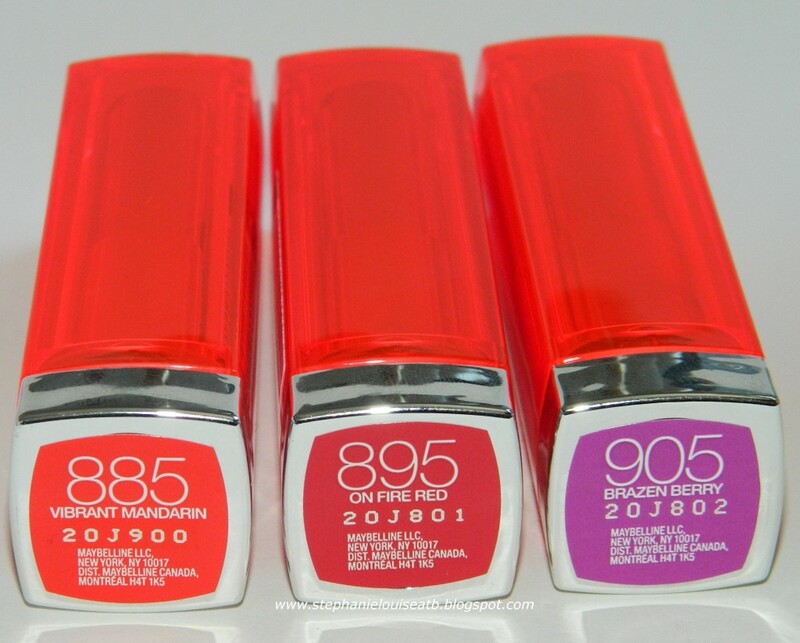 Have you picked up any of the Maybelline Color Sensation Vivid Lipsticks? Would you rock a vivid pout?